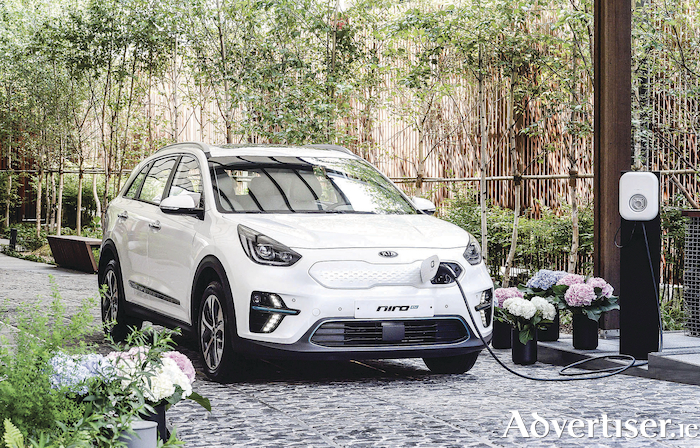 The new Kia Niro EV, which went on sale in Korea recently, combines an all-electric, zero-emissions powertrain with crossover practicality, intelligent packaging. and eye-catching design. A claimed long-distance driving range of up to 450 kilometres (circa 280 miles ) makes it one of the most capable electric vehicles on sale anywhere in the world. The Niro EV occupies a unique position in the global market as an all-electric crossover, and sits alongside the existing hybrid and plug-in hybrid variants of the car, of which more than 200,000 have sold globally since the Niro’s introduction in 2016 (including more than 65,000 European sales ). The Korean carmaker has received more than 5,000 pre-orders for the Niro EV in its domestic market since the car was first revealed earlier this year. The new Niro EV will make its European debut at the 2018 Paris Motor Show this October, and will go on sale in Europe by the end of 2018. The Niro EV is to be Kia’s second globally-sold electric vehicle after the Soul EV, which will also go on-sale here next spring. A high-capacity 64 kWh lithium-polymer battery pack affords a driving range of up to 450 kilometres (280 miles ) on a single charge with zero emissions. Plugged into a 100 kW fast charger, it takes 54 minutes to recharge the Niro EV’s battery to 80%. Buyers will also be able to specify an optional 39.2 kWh lithium-polymer battery pack, with a range of up to 300 kilometres (186 miles ) from a single charge. Power is provided to the front wheels through a 150kW (204ps ) motor, producing 395Nm torque from a standstill, for acceleration from 0 to 100kph in just 7.8 seconds. The battery pack is located low down in the body, beneath the trunk floor, creating a centre of gravity more akin to that of a sedan or a hatchback, ensuring maximum stability and driving enjoyment on winding roads. Matching the forward-looking nature of its powertrain, the Niro EV offers drivers a range of Kia’s advanced driver assistance systems, supporting the driver in various environments and scenarios to mitigate the risk of a collision. The Niro EV will feature several active safety systems. In profile, the slim character line and tapered rear windows emphasise the car’s sleek profile, while allowing greater room for the muscular wheel arches. The Niro EV rides on new five-spoke 17-inch aluminium alloy wheels with a diamond-cut two-tone finish, housing Kia’s regenerative braking system. The cabin combines modern design with generous space and technologies that complement the zero-emissions powertrain. The interior of the Niro EV is differentiated from other Niro models with a range of new features and design elements. The dashboard features a new light blue trim, echoing that of the exterior, while the design of the centre console has been simplified to accommodate the car’s shift-by-wire drive selector – Kia’s first ‘dial’-style shift knob. A new mood lighting system illuminates both the centre console and the shifter, and occupants can choose from six colours – white, grey, bronze, red, green, and blue. New high-gloss black and blue trim lines the doors, further enhancing the futuristic atmosphere. A 7.0-inch touchscreen HMI (human-machine interface ) remains at the centre of the dashboard, but has been updated to offer a series of EV-specific features. The new infotainment system enables owners to locate nearby charging points and monitor the level of charge and range remaining from the battery pack. When the Niro was first launched in 2016, its new platform had been engineered to accommodate a variety of advanced powertrains. Its wheelbase ensures all occupants have plenty of legroom, while the sense of space is boosted by its crossover design. Its body is comfortably wide and tall, ensuring maximum head- and shoulder-room throughout the cabin. And Kia claims at 450 litres (VDA ), it offers more cargo space than many other plug-in and electric vehicles.